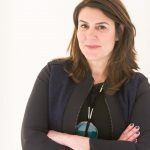 Herminia Ibarra is the Charles Handy Professor of Organizational Behavior at London Business School. Prior to joining LBS, she served on the INSEAD and Harvard Business School faculties. An authority on leadership and career development, Thinkers 50 ranks Ibarra among the ten most influential management thinkers in the world. She received her Ph.D. from Yale University, where she was a National Science Fellow. Like Anna, most of us realize that networking – the process of cultivating a robust tissue of professional relationships – is essential, for both getting things done in our day-to-day jobs and for our longer-term career progression. But, when it comes to daily choices about how we spend our time, developing our networks intentionally tends to fall far down the list of priorities. There are at least three different networks – operational, personal, and strategic – that can play a vital role in helping you achieve your goals. Operational networks help you manage current internal responsibilities, personal networks boosts professional development, and strategic networks focus you on new business directions and the stakeholders you must get on board to pursue them. While people differ a lot in how well they build and use operational and personal networks, I discovered that almost all of them underutilize strategic networking. 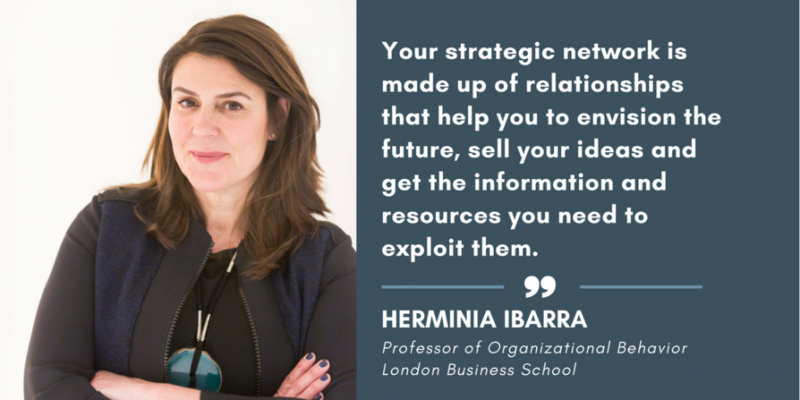 Your strategic network is made up of relationships that help you to envision the future, sell your ideas and get the information and resources you need to exploit them. It requires both time and attention outside routine, operational demands and investment in activities that can give you foresight on important trends in your industry and inform your choices about what you might be doing. Likes attract. The “likes attract” principle, which refers to our tendency to be more easily drawn to people who are similar to us, combined with male-dominated senior ranks, organizations and industries, means women often have to work harder to build relationships with decision makers and influential stakeholders. As the executive whose quote opened this blog found, networking across functional and hierarchical differences is hard enough; adding gender make it harder. Separate spheres. A direct but little-understood consequence of our innate preferences for hanging out with people like us is that women’s work and social networks tend to overlap less than men’s. In my research, I ask people to list the contacts they turn to for important work matters and then I ask them to list those with whom they hang out outside of work. Men often have some of the same people on both lists – they’ll play squash, watch a sporting event or go for dinner with some of those work contacts. Women, by contrast, are more likely to have two separate lists: one for work activities and one for social activities. Maintaining separate spheres can put women at a disadvantage for two reasons. First, it’s more time consuming to manage two separate networks; you can kill two birds with one stone when you are talking shop over a drink, and you’ll be better informed about what is going on. Second, participating in conversations about important work matters outside formal meetings creates camaraderie and increases trust. Because women are consistently excluded from informal gatherings such as golf games and private dinners, it takes longer to achieve influence. Using People. The “likes attract” principle and “separate spheres” dynamic increase the likelihood that women will have unfavourable views about strategic networking. The more we differ from key stakeholders the more likely that we’ll see a more intentional approach as disingenuous and calculating – all about selfish gain, “using people” and engaging in unmeritocratic ways of advancing one’s career. The problem with limiting our networking to people with whom we naturally “click,” however, is that it produces networks that are too homogenous to give us the breadth and diversity of inputs we need to understand the world around us, to make good decisions and to get people who are different from us on board with our ideas. These networking hurdles don’t stem from women’s personal styles but from the scant numbers of the women in power positions, and those numbers are only changing at glacial speed. What to do in the interim? The best place to start is by investing in new activities because the best way to grow professional relationships is by actually doing things together. This could be a project or task force inside your organization but outside your immediate area, or some kind of extracurricular activity, say with an industry association, alumni group or professional women’s network. The important thing is to sign up or show up and, of course, speak up so people know who you are, how you think and what you have to offer. Once you’re participating in more side projects or extracurricular events, consider taking on bigger roles: organizing or moderating a panel, being the speaker yourself. Remember that you can always create your own activity or network, centered around your interests and time constraints.